EZLIFT™ 1000 TACTICAL CART is a rapidly deployable, 1000 kg (2200 lb.) 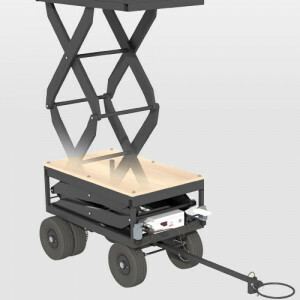 capacity, mobile, universal lifting platform for delivering payloads either manually or remotely by robot. A wide variety of tactical operations including delivery, search, rescue and recovery are supported by EZLIFT™ 1000 TACTICAL CART. One example is robotically delivering MREL’s lines of Tactical Disrupters to IED targets and then robotically positioning the disrupters to the correct height prior to firing. 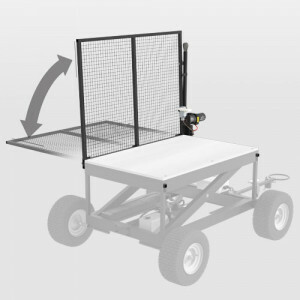 Multiple EZLIFT™ 1000 TACTICAL CARTS can be connected together for larger targets requiring multiple disrupters. 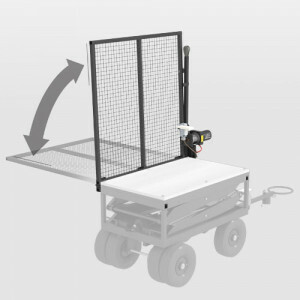 With the optional EZLIFT™ 1000 TACTICAL CART RAMP (P/N 2-72-07) a robot can be delivered on the cart and disembark using the ramp at height to perform tasks that are at elevations that cannot normally be reached. 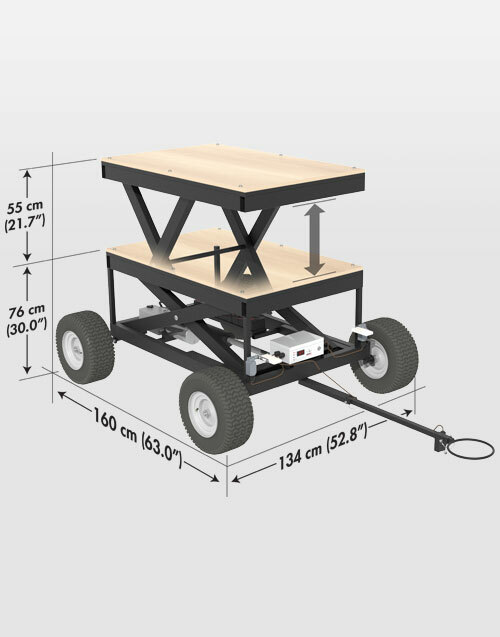 With the optional EZLIFT™ MINI ROV TRAILER (P/N 2-72-08) a small robot can be delivered behind the cart thus extending its full operational battery life to the task as opposed to expending battery life on travel. 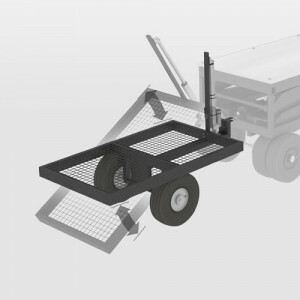 Strong tubular steel framed electric hydraulic lift with wooden deck for ease of Operator customization to suit tasks. Reliable disc brakes which automatically engage when handle touches ground. Redundant raise/lower levers at two locations for ease of accessibility. Levers can be set by Operator up = raise and down = lower, or down = raise and up = lower. Front mounted high visibility control box with key lock, digital display of battery status, operating status LEDs. Rechargeable batteries with universal tendering system. 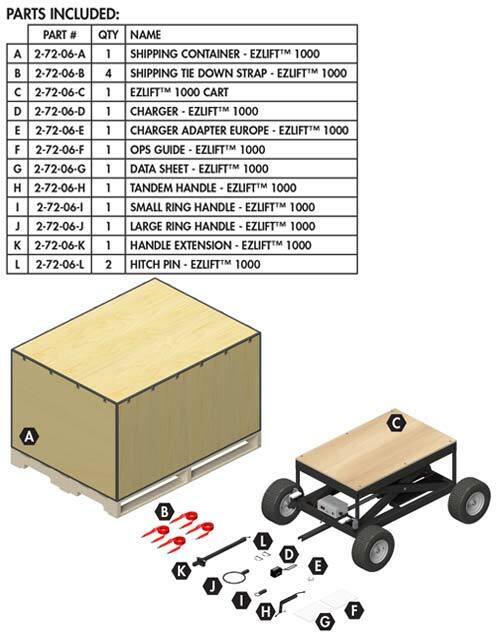 Two sizes of ring handles for robot compatibility and one trailer hitch adapter for connecting carts together.